If you’ve flown in an airplane before, then you may have noticed how a change in air pressure can affect your hearing and how comfortable your ears feel. You may also notice that when you yawn or swallow, your Eustachian tubes allow air to enter into the middle ears briefly, which often works to equalize air pressure. While imbalance in middle ear pressure occurs in most people from time to time due to colds, sinus infections, allergies, and airplane rides, it is common for some people to suffer from, severe ear problems that cause an excessive amount of pain or discomfort. 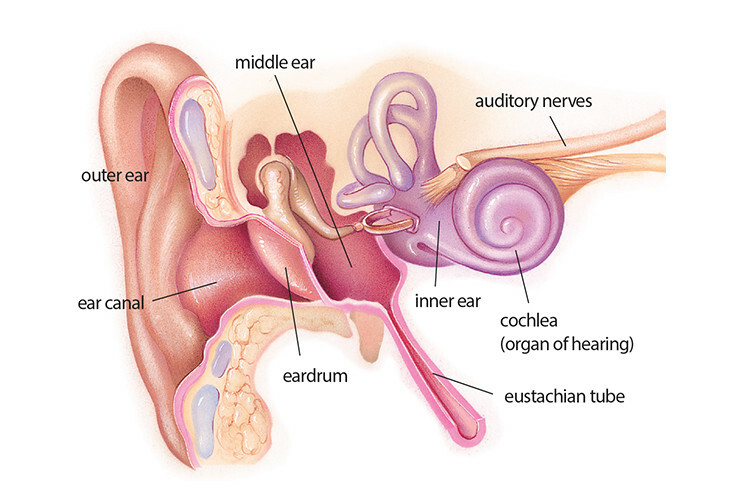 This is especially common in children who have a higher risk of ear infections due to the shorter length of their Eustachian tubes. In many cases. a blocked ear can be alleviated by closing your mouth, holding your nose, and gently blowing like you would when blowing your nose. Chewing gum, yawning, or swallowing may have the same effect. Why flying, it is especially important that adults advise children to follow these tactics during takeoff and during landing in order to maintain proper air pressure and to prevent ear pain. If an ear infection is the underlying cause, then antibiotics may be needed. For a chronically blocked ear or more severe ear infection, an ENT surgeon may need to perform surgery. This type of surgery usually involves a small incision in the eardrum in order to drain any fluid that had built up and to equalise air pressure. If your problems persist or become quite painful, it is important to your take action to see someone to find out what is causing the problem.